This tea party was organized by Viccal, to thank the bloggers for reviewing their products (Read my review here. (: ) and I thought it was a really nice gesture! 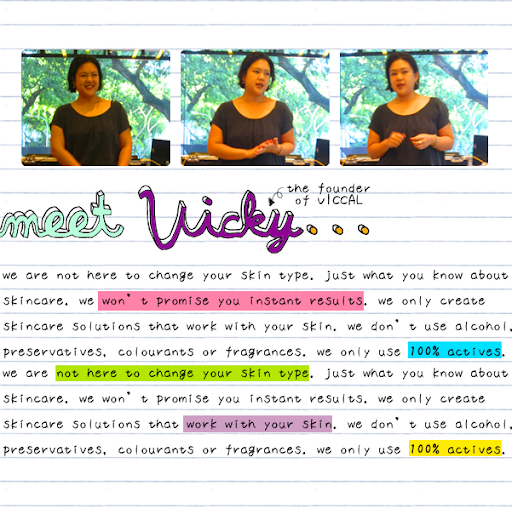 The party kicked off with Vicky introducing herself, as well as the story behind Viccal. She has worked with many brands in the beauty industry, especially on the manufacturing side, and she found that many unnecessary ingredients go into our products. Hence, she decided to come up with Viccal. Viccal is a brand that doesn't promise instant results. How brave is it for a brand to come out and say that?!? Most products have instant brightening or plumping effects, but they don't last and that isn't what we want. We want the effects to stay, to be permanent, to be there even when we haven't got the products layered all over our skin. And this, this is what Viccal says it will do. More information about these serums is available at Viccal's website (I wrote a little about them in my review too. (: ). 1. 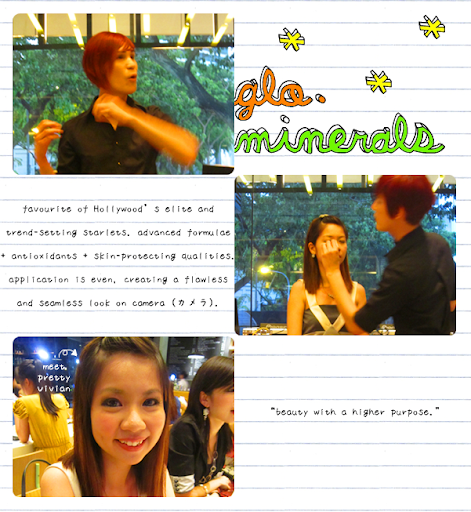 Mineral makeup works best on moisturized skin! 2. The way to go: Sunblock, serum, foundation and then, concealer. 3. 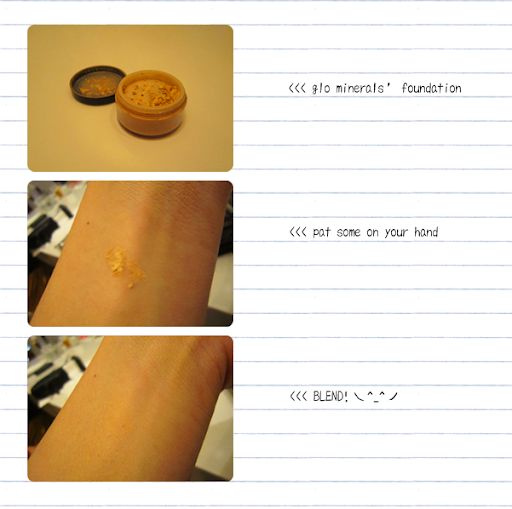 Concealer can be used as an eye primer. 4. If you were a little too heavy-handed with your blusher, don't wipe it away. Instead, dust loose powder to neutralize it. 5. Use a hydration mist to set your makeup. This gives a natural look. Do head on over to Viccal's website to obtain 5ml bottles of the serums so that you can test the products and see the results for yourself! 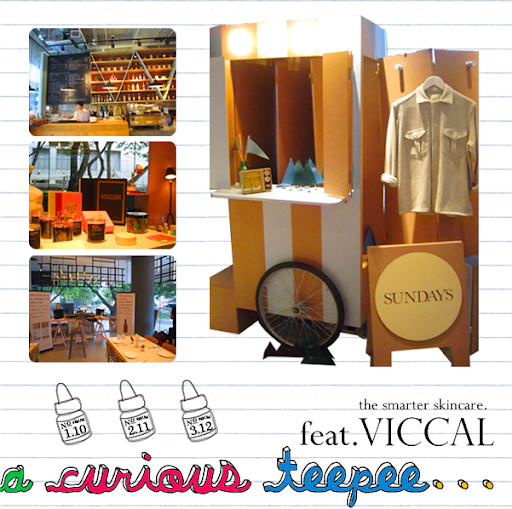 :D And if you have any questions or need any skincare tips, head on over to Viccal's Facebook page! 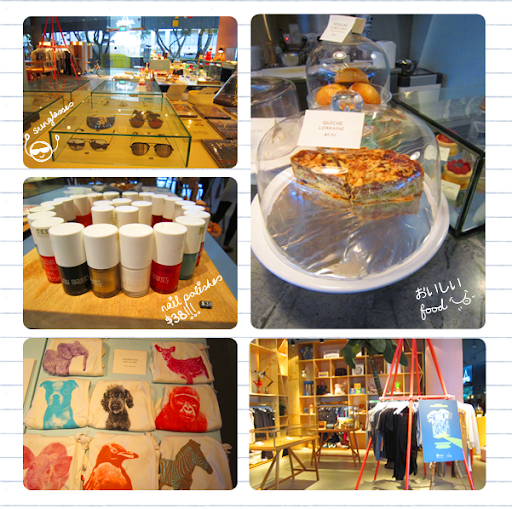 Lastly, thank you Lynn, Vicky and the Viccal team and A Curious Teepee for this event!